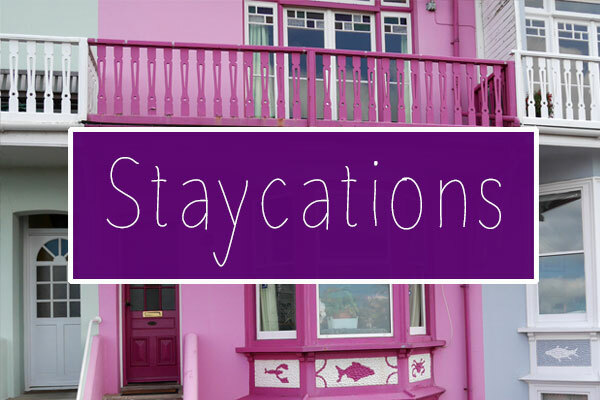 I’m a big fan of staycations and doing touristy things at home in the UK. 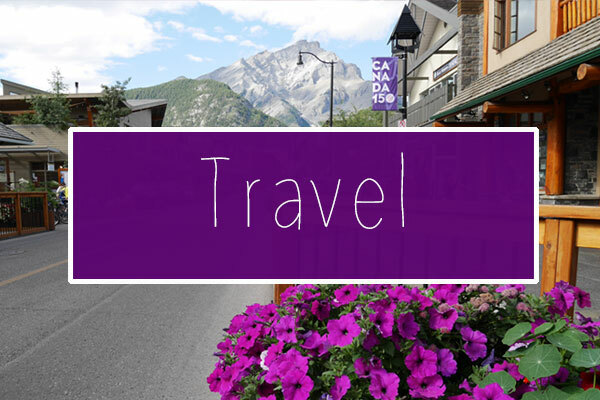 Whether it’s at home in Canterbury or further afield in say London or Cambridge, I always keep an eye out for new events and exhibitions that are starting. 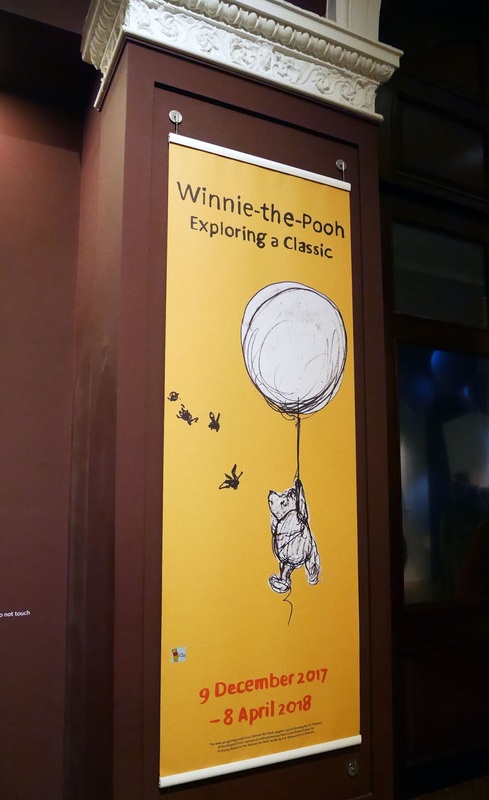 Last weekend we went to London for the day, to see the Winnie the Pooh: Exploring a Classic exhibition at the Victoria and Albert Museum in South Kensington. 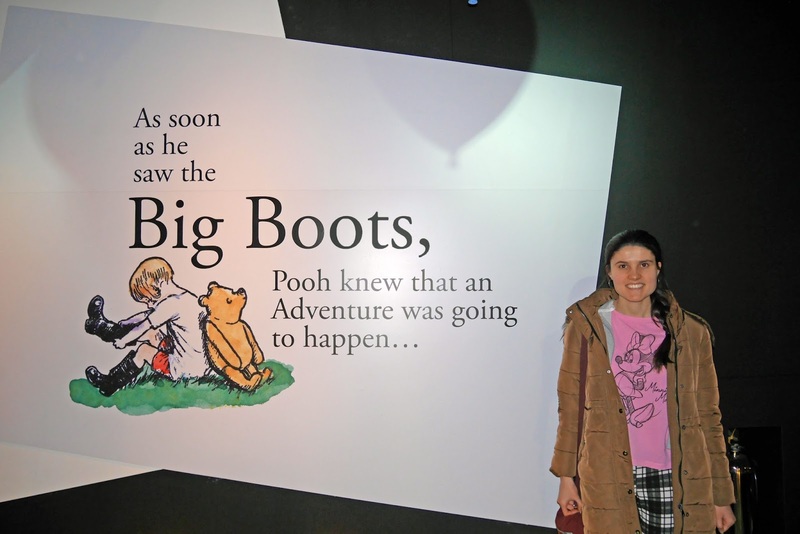 Winnie the Pooh has been one of my favourite stories ever since I was little, so I was really excited to go and learn about the history of the books and films. We had booked tickets for the 10:30 session, so we left for London early in the morning and arrived at the Victoria and Albert Museum for opening. If you’ve never been to the Victoria and Albert Museum, it’s an emporium of art and textiles from all over the world. 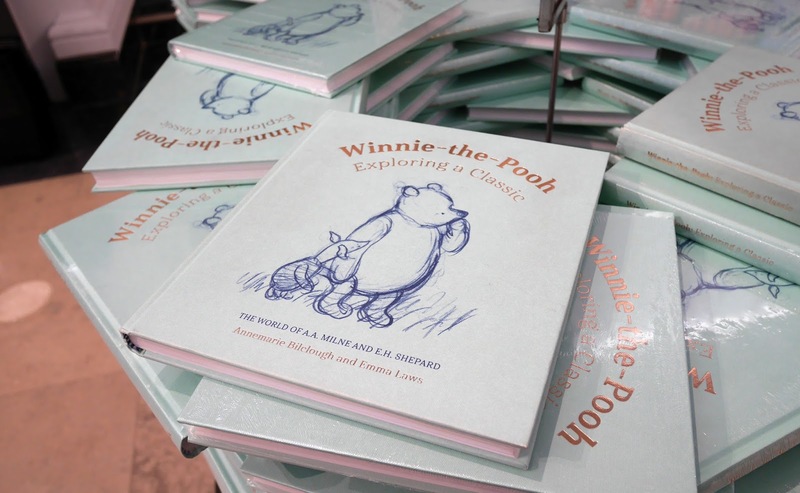 The V & A often hosts seasonal, themed exhibitions and Winnie the Pooh: Exploring a Classic was one of these exhibitions. When you walked inside the exhibition, it was like taking a step inside A.A. Milne’s classic story books. 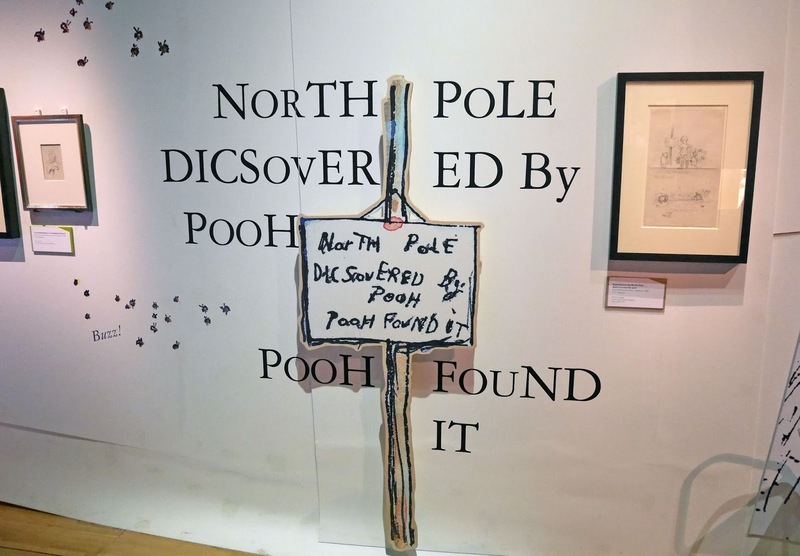 There were illustrations of Christopher Robin, Pooh and friends all over the walls of the exhibition space, alongside popular quotes from the books. 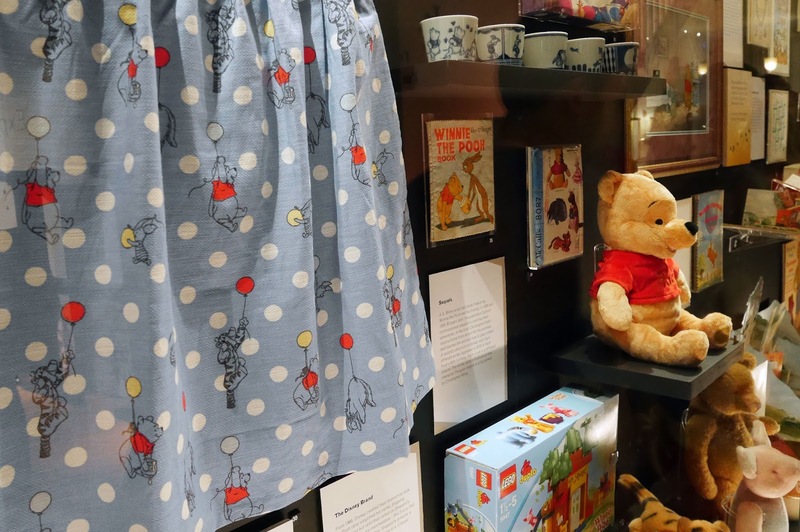 At the start of the exhibition you got to see Winnie the Pooh memorabilia from over the years, ranging from old editions of the books to the recent 2016 Winnie the Pooh x Cath Kidston collection. 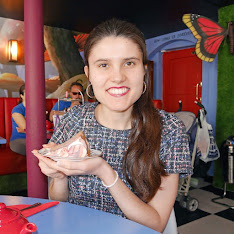 It was really interesting to see the different eras of Winnie the Pooh, particularly the Disney era and the impact this has had on how the world sees Winnie the Pooh today. 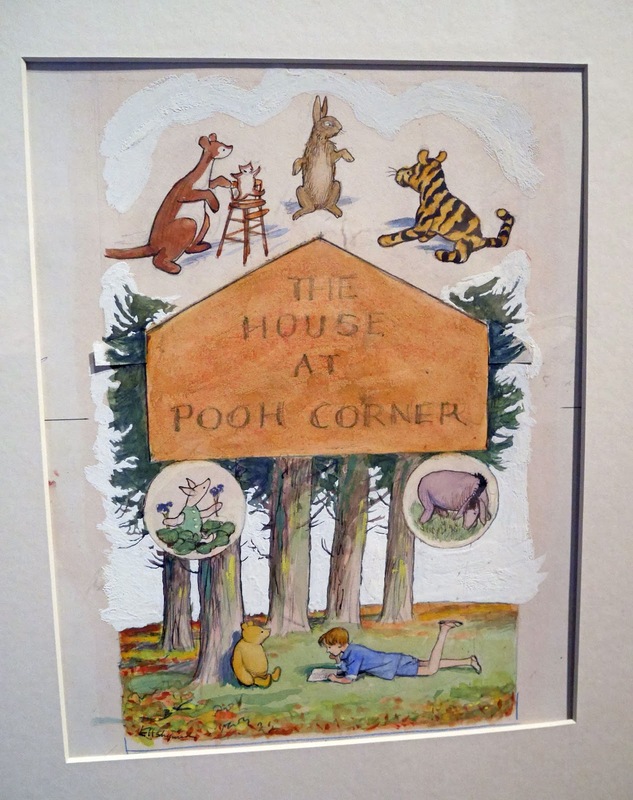 As you progressed through the exhibition, it focused more on A.A. Milne’s original stories and E.H. Shepherd’s iconic illustrations. You got to read about the inspiration for the books and how Milne and Shepherd worked together to create the famous book series that we know and love. 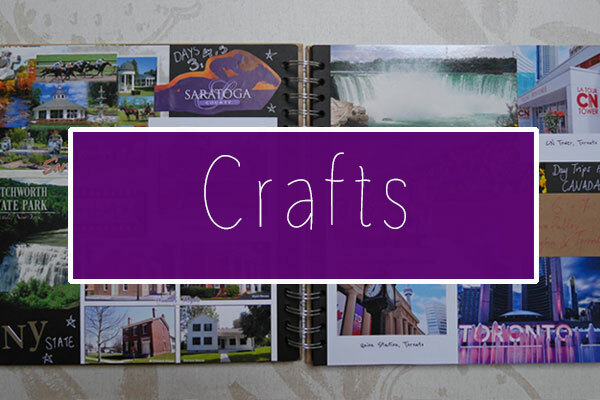 This section definitely made you think of Winnie the Pooh before Disney. 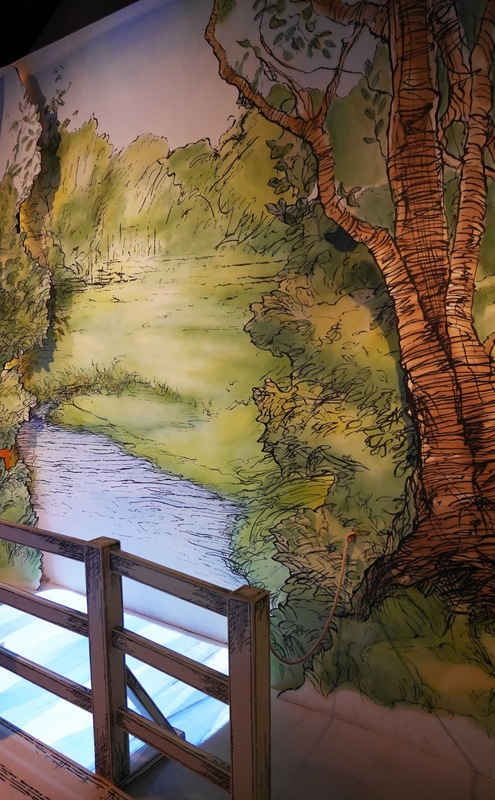 Accompanying the illustrations, there were installations of popular Winnie the Pooh scenes such as the bridge where they play Pooh Sticks. This was great for children that were visiting the exhibition with their parents, as they could reenact scenes from the books. 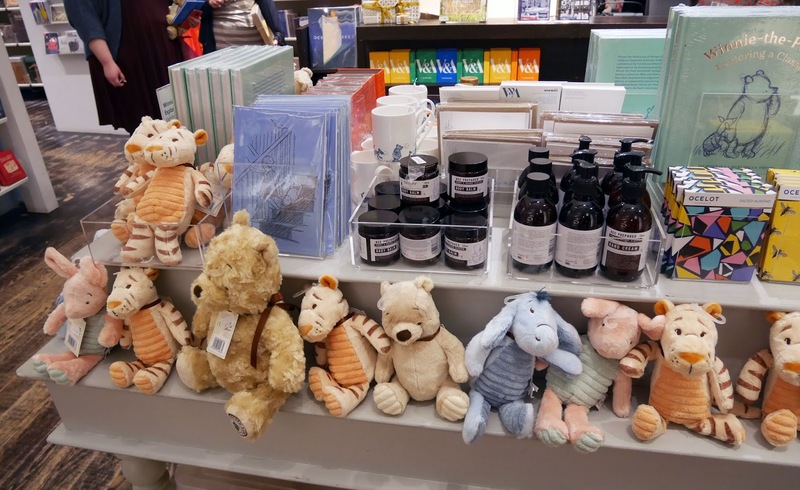 The exhibition was incredibly busy, so after we’d navigated the crowds and seen all of the artwork, we reached the gift shop, which was full of lots of Winnie the Pooh goodies. They were selling classic plush toys of all of the characters, as well as new editions of the books and postcards of the classic sketches from the books. 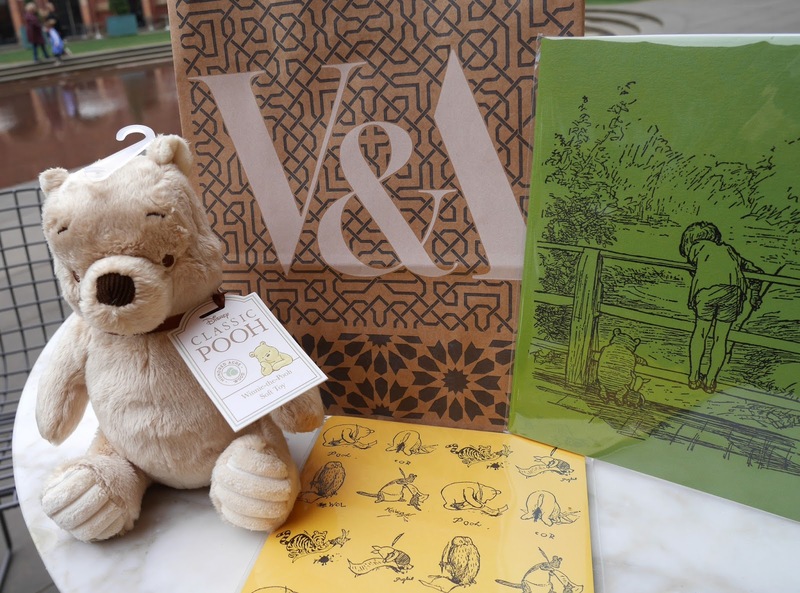 I ended up getting a Classic Winnie the Pooh toy, a couple of notebooks and some postcards, which were all very reasonably priced for the Victoria and Albert Museum. If there’s anything that this visit has shown me, it’s that I really ought to visit Ashdown Forest: the woods that inspired the books. I’d highly recommend taking a trip to London to see the exhibition before it closes on 8th April. It’s perfect for any Winnie the Pooh or Disney fan! 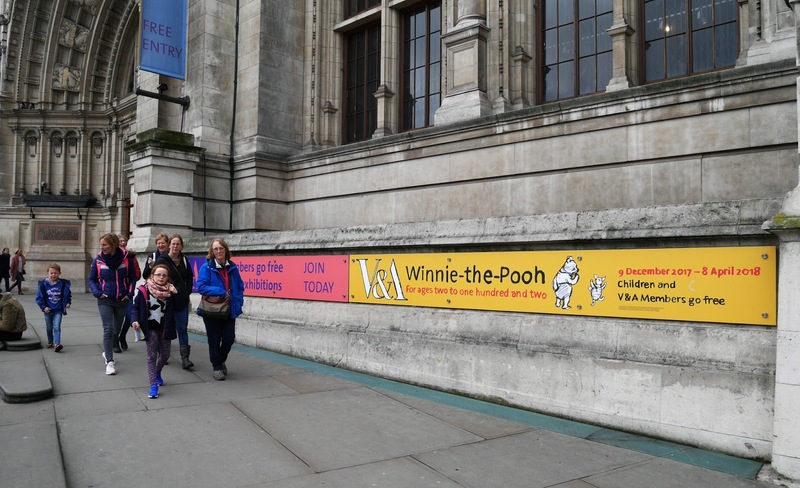 I was never a huge Winnie The Pooh fan, but this does look like a gorgeous exhibition regardless!